NOW it is the time to come TOGETHER FOR CHRISTMAS... CD launch party on Dec 13th at Connolly's Klub 45 will now also be a fundraiser for those effected by the storm. CD Launch Party and Fundraiser for those affected by ‘Super Storm Sandy’. Tara O'Grady, John Munnelly and more to be announced. 121 W 45th Street between 6th & 7th Avenue. corporations, and most of all to bring the spirit of Christmas to those in need. Also a portion of sales of the cd will go to the local charities in the NY beach areas. 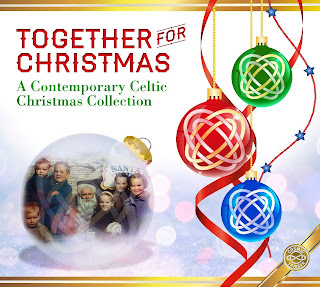 So go on to iTunes or to our web site www.togetherforchristmas.com and buy this Holiday cd. And come out to Connolly's on 45th St on Dec 13th and listen to some of the greatest Celtic artists sing new Christmas songs! -- and have a pint with us, it is the holidays that bring us all together! !